"We are an Easter people and alleluia is our song." So Blessed Pope John Paul II reminded us on many an occasion. Why? Evidently we forget. A lot. What does it mean, though? According to New Advent's entry, a brief definition of "alleluia" is as follows: "it may be literally rendered, "All hail to Him Who is!" --taking "All Hail" as equivalent to "Glory in the Highest," and taking "Who is" in the sense in which God said to Moses: "Thus shalt thou say to the children of Israel; WHO IS hath sent me to you." Basically - praise the name of the Lord! Throughout Lent, Catholics refrain from using the word altogether. Lisa Schmidt has has a great, short synopsis of the why behind this practice at her blog, The Practicing Catholic. Her blog was the inspiration for my own journey through the alphabet this Easter season. Why is Blessed Pope John Paul's statement is significant? 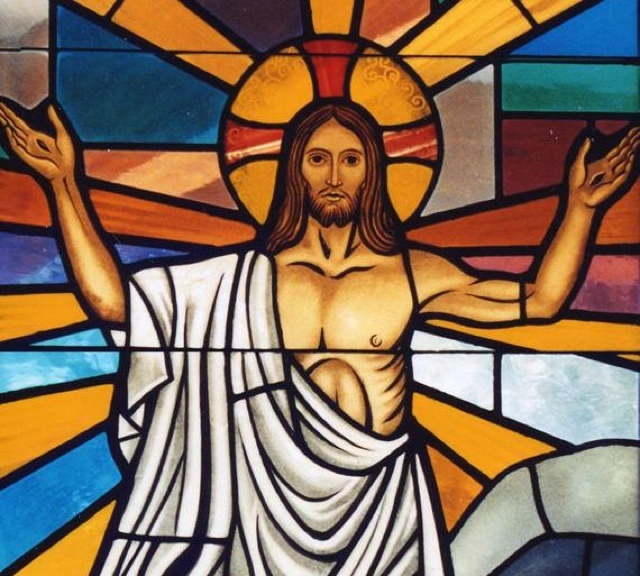 First, we are an Easter people - what does this mean for us as Christians? Quite basically, it means we are a people of the resurrection. Yes, Christ was crucified, but we live with the lens of new life and eternal life. This world and the things of it are not the final word or what hold the greatest glory. Jesus breaks open the gates of heaven to let us in, and that is our identity. We share an inheritance with the saints! We are a people of joy and life, not doom and gloom. Secondly, alleluia is our song - what do we sing with our lives? Are our lives glorifying the Most High, or are we stuck in the ways of the world? On more than one occasion this week I've seen the quote from St. Irenaeus that reads, "The glory of God is man fully alive." What does this mean for us? What does it mean to sing alleluia with our lives? I think to fully understand this we must visit the Acts of the Apostles. The Easter story didn't,end with Christ's resurrection. It continued on with the story of the first apostles, and their journey in carrying out the mission Jesus left for them. It begins with the outpouring of the Holy Spirit and follows their stories of conversion, healing, miracles and persecution. This time after Easter is a continued season of miracles! For us to be fully alive, to sing glory to the Most High, we must live out joyfully our purpose - to love God and bring others to union with him. We must claim the unique blend of talents and gifts he has given us and use them for his purpose, not ours. We cannot be afraid to share the good news of redemption and eternal life, of resurrection and of hope. We are an Easter people and alleluia is our song - this must be our battle cry! 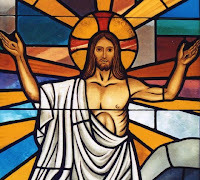 Jesus is risen, truly he is risen! This must be our message, especially in a world that is rapidly forgetting. Steve Ray posted an article on his blog stating that 16% of people (I presume Christians) do not believe in the resurrection of Christ. St. Paul tells us that if the resurrection is untrue and never happened, we are great fools indeed. I do not believe we are fools, but sadly more and more people are being fooled by the evil one. "Let us be enlightened by the Resurrection of Christ, let us be transformed by His power, so that through us the signs of death give way to signs of life in the world! I see that there are many young people in the Square! Young boys and girls, to you I say bring forth this certainty to the world: the Lord is Alive and walks beside us on our life’s journey! Bring forth this hope, be anchored in this hope, the hope that comes from heaven! Be anchored and bring forth the hope! You witnesses of Christ bring forth hope to this world that is aged by wars and sin!"